Although not a new concept by any means, the internet has brought social networking to a different level entirely. No longer does this term refer to meeting in person for a weekly meeting revolving around a certain interest or pastime. That’s so true I remember back in the 80s when I was training to be an accountant and at that time, ICAEW, the professional body I was studying for had only 10% women. I lived in quite a small city of England and I think the proportion of women was even less. I used to go to the monthly luncheon of the Student society and I was the only female most times. I also used to attend the Chamber of Commerce networking sessions, a requirement of my job, and I cannot believe the sexist remarks that I used to receive. Sometimes old times are not the best :-). Of course, things changed a lot in the 90s and the 00s. 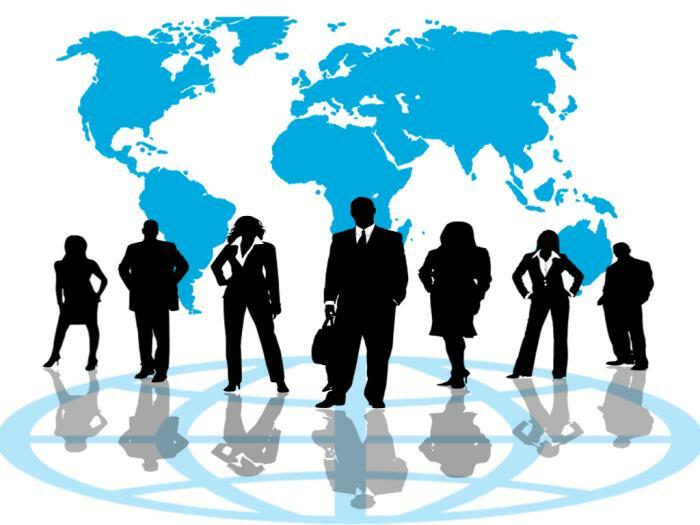 More female joined all the accountancy profession and all type of professions and associations. 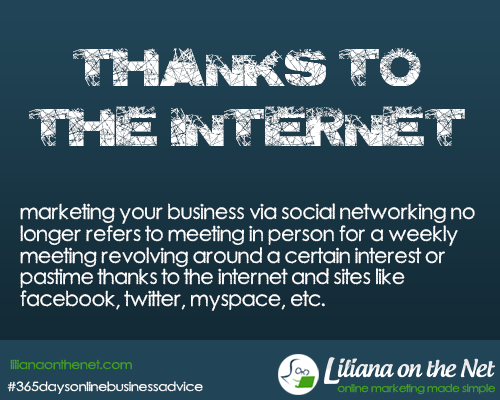 Thanks to the Internet Business and Social Networking is truly global now. Starting primarily with the advent of instant messaging, the entire concept has grown in leaps and bounds. Now there are sites dedicated to nothing but social networking; from MySpace which is used primarily by the younger crowd, to networks divided by interests, ethnicity and just about everything in between. Most social networking sites, however, don’t have specific distinctions such as these. Members simply join the site, and find their own interest groups or niches within which they feel compatible. It is through these sites that many people choose to enter their business information into their profile or information page. Popular choices for social networking sites include: MySpace.com, Facebook.com, Linkedin.com, Squidoo.com and Twitter.com. A famous line from “Meditation XVII,” by the English poet John Donne is “No Man is an Island” and it applies today, more than ever, with the advent of the internet and social networking. I love social networking. I wouldn’t be able to truly work from home without being attached to a phone all day without it! It may take some time each day but to get out what it is I am doing to so many people so quickly is the best advertising there is, and best of all its almost always free! I try to share my blog posts on Facebook and Twitter. So far not much in the form of traffic but we will see how things go down the road. Oh, and what is up with Google Plus? I never get any traffic from there. I think a better tactic than just sharing is to join groups in your niche in either Facebook or Google+ and give value and become known. Also a Facebook page, I recommend wholeheartedly the Free Challenges that Sue Worthington runs. They were in yesterday’s Business Tip.